Again, this varies from lava dome to lava dome . 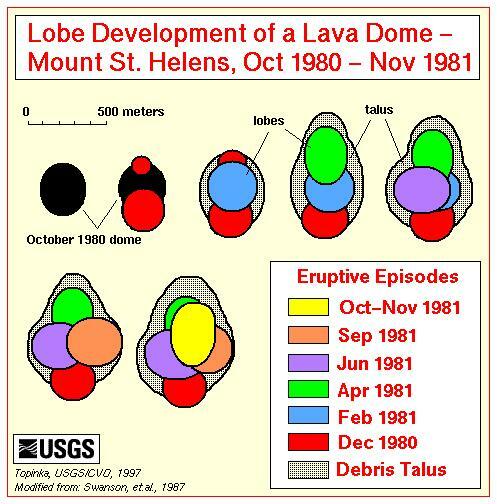 Domes can be single distinct events or they may form as the composite of many eruptions that build upon each other. They can grow by erupting on-top of previous dome material, or alternatively they can grow by filling from within; a sort of inflation. 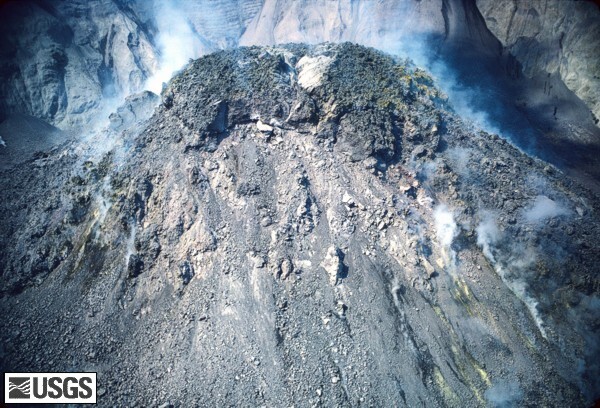 The length of time it takes for a lava dome to form also varies greatly. Some lava domes grow in a matter of hours or day, while others may take years – some taking upwards of 100 years to reach their full extent. 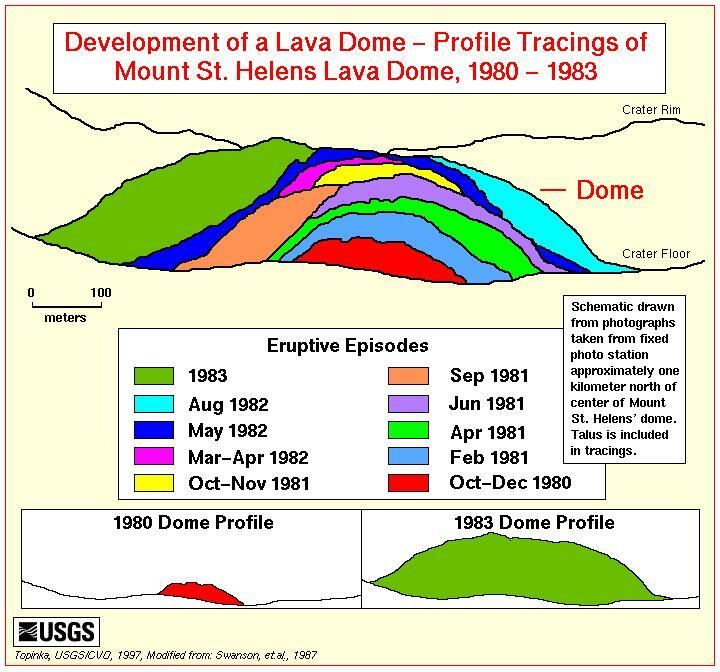 The stages of development seen below, the Mount St. Helens 1980-1986 lava dome is an example of a composite lava dome that grew episodically. Photo and graphic credits: USGS. The top picture shows the 1980-1986 Mount St. Helens lava dome as it was growth. The bottom two images depict the devlopment through time of that lava dome. As you can see, it was built in many different events.